The city of Tustin is located in North East Orange County adjacent to the cities of Irvine, Santa Ana, and Anaheim. Tustin offers a wide variety of housing options for sale for prospective residents: condominiums, townhomes, single family residences, and income properties. From older homes in distinctive neighborhoods full of character and large lots to new homes located in Tustin Ranch, there is something for everyone. 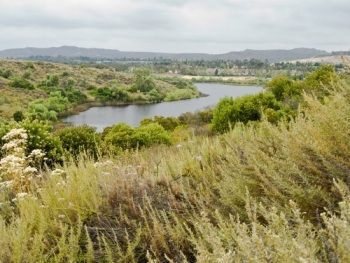 Tustin real estate has a rich history dating back to the roots of Orange County. In the 1870s, a carriage maker named Columbus Tustin moved to the area from Northern California. Tustin founded the city which now bears his name on roughly 1,300 acres of land, which he acquired from the former Rancho Santiago de Santa Ana. The City of Tustin was officially incorporated in 1927 with a population of about 900, and in modern times this popular area has reached a population of about 74,000. Tustin is located right in the very heart of Orange County, with easy access to the finest amenities available in this desirable area of the country. In fact, Tustin was recently named one of the Top 25 Cities in the United States in which residents can truly "live well!" This is, of course, due in large part to location-but also because of the benefits available right in Tustin itself. Families can take advantage of a number of community activities sponsored by the City of Tustin, including summer camps for the kids, outdoor movie nights in the parks, after school activities, such as music programs and athletic and sporting options for nearly everyone. Tustin is home to Little League baseball, adult softball leagues, youth track and tennis clubs, and other sports at excellent facilities maintained by the Parks and Recreation Department. Senior residents in Tustin may also be interested in the variety of exciting activities available through the Tustin Area Senior Center, which also offers social outlets for interested individuals. Local points of interest in the Tustin area include the Tustin Market Place and the Jamestown Village Center. Residents of Tustin will easily discover many fascinating places to visit within a close proximity to home. For example, in the nearby area known as South Coast Metro are located both the Orange County Performing Center and South Coast Repertory, offering outstanding entertainment from around the world. In addition, there is no shortage of good times-not to mention the world-class shopping-at the nearby mega mall called South Coast Plaza. The Orange County Fairgrounds are home to one of the largest swap meets in the country each weekend, where one can find anything from small trinkets to used and new automobiles. Of course, the fairground also hosts the world-famous Orange County Fair each summer. Tustin has a lively economy, a wide array of restaurant choices and many local businesses doing their part to maintain a thriving local community. Weather in Tustin can be filed under the heading of "fantastic" almost year-round. The Orange County area in general is favored with a beautiful Mediterranean-style climate, and the City of Tustin is certainly no exception. Summers range from warm to hot, while the winters in this area are cool at worst. In fact, spring and fall in Tustin could just about count as summer in many other areas of the country! With all of these beautiful days throughout the year, it can be no big surprise that the beach is a consistent draw for residents of Tustin. While the city does not lay claim to any coastline of its own, it is an easy 16 mile drive straight down Highway 55, which takes drivers directly from Tustin to beautiful and scenic Newport Beach. From there, the entire expanse of the region's magnificent Pacific Ocean coastline is accessible along the State Route One, better known locally as the Pacific Coast Highway (or PCH). Exciting Balboa Island is a frequent stop for beach visitors, offering both urban beaches and a wonderful amusement park for all ages to enjoy. The beaches of Orange County run from broad and sandy, perfect for laying out in the California sunshine, to fascinating tide pools filled with all sorts of marine wildlife. This is something that kids of almost any age (not to mention adults!) should experience some time in their lives. Primary and secondary education in Tustin, parts of Irvine and Santa Ana, and the surrounding unincorporated areas is overseen by the Tustin Unified School District (or TUSD). There are eighteen fine elementary schools in the TUSD, of which eleven are located directly in the Tustin city boundaries. Four of the five middle schools in TUSD are also in Tustin. The only public high school in Tustin, the aptly-named Tustin High School, is a California Distinguished School, as is Foothill High School (located in nearby Santa Ana). Tustin High School is also well-known regionally for its strong Model United Nations program. Alternative high school education is also available in Tustin through the Sycamore High School program, as well as the Tustin Adult School designed for older students returning to finish their degrees. Private school options also abound in the Tustin area, ranging from Montessori school for the pre-K and early grades, to excellent denominational and secular private schools covering everything from pre-K to college-preparatory high school education. About half of university-bound high school graduates attend nearby University of California, Irvine, which offers a full complement of undergraduate and graduate degrees. Other community college and private university campuses can be found within a short drive of Tustin, as well, covering the gamut of educational needs for residents. Tustin also recently celebrated the opening of a new library branch to better serve the media and reading needs of the citizens in the area. The Tustin home experts at The Aaronson Group can help you find the best Tustin houses and properties on the market! Contact us to connect with your dream home in Orange County.